1) Lazar Kaganovich: Stalin’s political figurehead of the Central Committee. In 1928, Kaganovich led the implementation in the Ukraine of Stalin’s first Five-Year Plan. 2) Genrikh Yagoda: Founder of the NKVD (Soviet Secret Police). 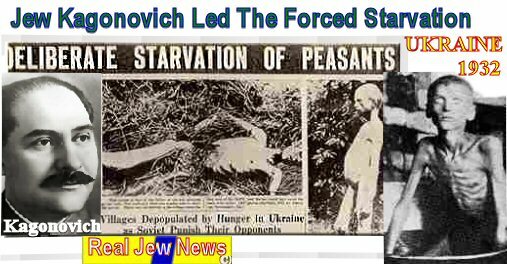 Assisted in the first Five-Year Plan of starving Ukrainian peasants. Yushchenko has pressed the genocide issue since taking office in 2005. In 2007 more than two dozen countries recognized the Holodomor as genocide. Yet the Jews of the Ukraine and around the world refuse to recognize it! 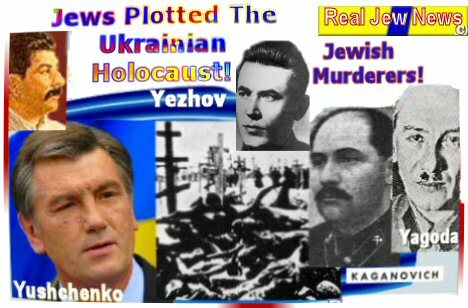 — “We can’t equate the Holocaust of the Jews in Germany with the Holodomor in Ukraine. 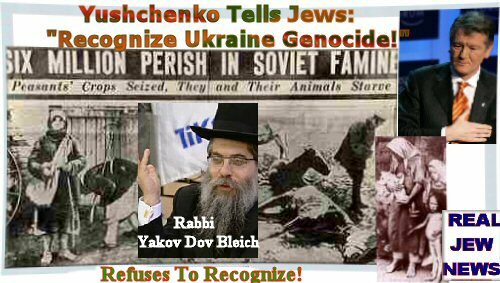 Ukrainian Jewish leaders do not support recognizing the Holodomor as genocide.” — Baltimore Jewish Times, Nov 14 2007. WE MUST PUT THE ZIONIST JEWS IN THEIR PLACE! Jacob Sverdlov, (Yankel Solomon), the first President of the Soviet Union. He gave the order to murder the Royal Family. Sverdlov began his Anti Christian career when he joined the Russian Social Democratic Labour Party in 1902. Lazar Moiseyevich Kaganovich: Millions of Orthodox Christians were murdered by order of Kaganovich. 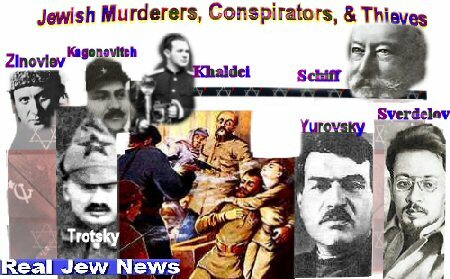 He orderered the destruction of hundreds of Christian churches including Christ The Saviour Cathedral in Moscow.In 1991, after living the life of a prince, Kaganovich committed suicide in fear of the “open society,” that is, “glasnot” which would have exposed his murderous deeds. Bela Kun (Cohen): Dictator of Hungary in 1919. Kun was later Stalin’s chief terrorist in the Crimea. Kun’s eventual successor was Matyas Rakosi, a Jewish Communist mass murderer of Christians in Hungary. Moshe Pijade: Commander, Yugoslav Communist People’s Army. Tito’s top butcher of hundreds of thousands of Yugoslavian Christians.